Launching on World Champagne Day, we’re gearing up to be poppin’ bottles right through Clicquot Season. Untied & Veuve Clicquot are creating a DIY Champagne bar, kitted out with all the bubbly toppings of your dreams. Fill your glass with Campari Pixie Dust, fairy floss, edible flowers, fresh berries, dehydrated fruits and more. 2 hours of bottomless Veuve Clicquot, unlimited access to the DIY champagne bar and charcuterie available by the meter for your group. $100pp. 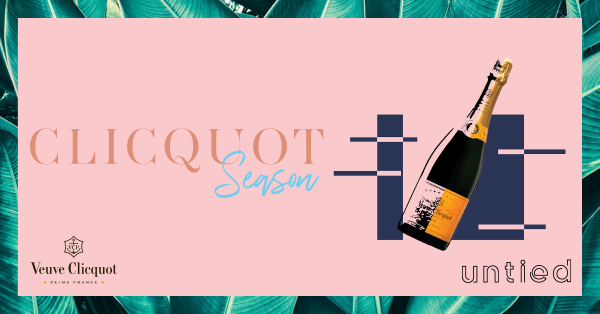 Clicquot Season will run from the 19th October – 30th December.